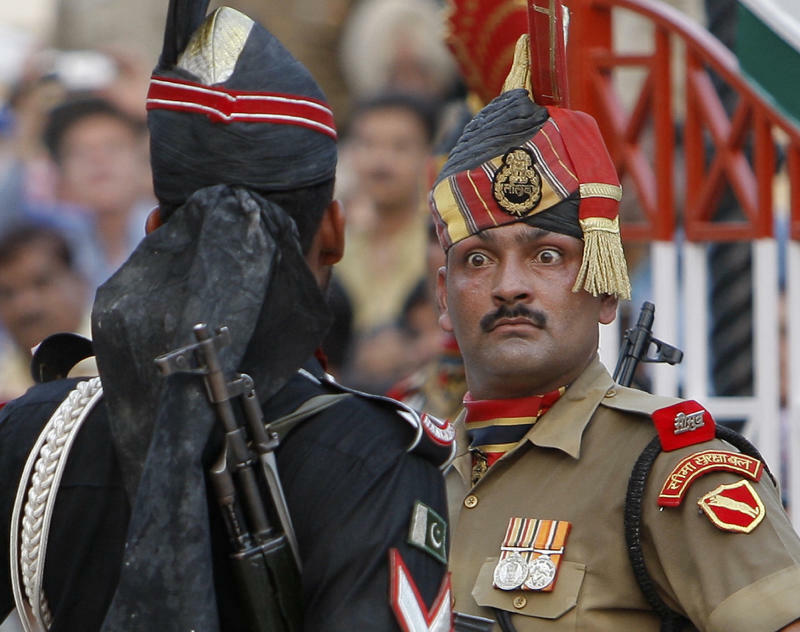 Pakistan described India's reasons as excuses to enable it to avoid holding talks before national elections next year. India's ministry added that the recent actions had revealed Pakistan's "evil agenda" and the "true face" of the country's new Prime Minister Imran Khan. India has chose to drop the idea of the proposed meeting, the first such high-level talk planned in years between the nuclear rivals, to protest about the killing of Indian security personnel and the glorification of a militant and militancy by Pakistan, India's foreign office said in a statement. The death of the Indian border guard on Wednesday in Jammu provoked outrage, with India accusing Pakistani forces of mutilating his corpse. The terrorism accusation stemmed from postage stamps Pakistan issued earlier this year of a charismatic Kashmiri militant commander, Burhan Wani, who was killed by Indian troops in July, 2016. Hailing exchange of messages between the PM Imran and Modi, the spokespersons said: "We saw the reports about the positive messages being exchanged between Prime Minister Khan and also Prime Minister Modi". India's external affairs minister, Sushma Swaraj, will meet her Pakistani counterpart, Shah Mahmood Qureshi, in NY during the assembly starting on Monday. India has long accused Pakistan of arming separatist groups in Kashmir, a Himalayan territory divided between the two countries but claimed in full by both. He had noted that "two deeply disturbing developments have taken place" since the announcement of a meeting between the foreign ministers of India and Pakistan in NY later this month. Pakistani Prime Minister Imran Khan on Saturday denounced India's cancellation of a planned meeting between the countries' foreign ministers, calling the decision "arrogant" and decrying "small men occupying big offices" who oppose change. "Pakistan remains ready to discuss terrorism", he added. India has maintained that talks and terror do not go hand in hand. Pakistan President Dr Arif Alvi, said, "Sad to see India backing off from FM level talks". Asked if Pakistan will approach India again for negotiations, he said: "No, we wanted negotiations in a dignified way". "Now India has to move forward and we want that when Sikhs come to Pakistan on the 450 birth anniversary of Guru Nanak, they should be provided facilities through Kartarpura border". Pakistan has always extended an olive branch to India for the resolution of problems and enhancing bilateral ties in an amicable manner, but New Delhi does not come out of its "internal politics", state-run Radio Pakistan had quoted him as saying.